A lavish garden setting, a gorgeous turquoise lagoon and volcanic peaks rising up in the distance, the InterContinental Tahiti Resort & Spa is the perfect launch-point for your French Polynesian vacation. 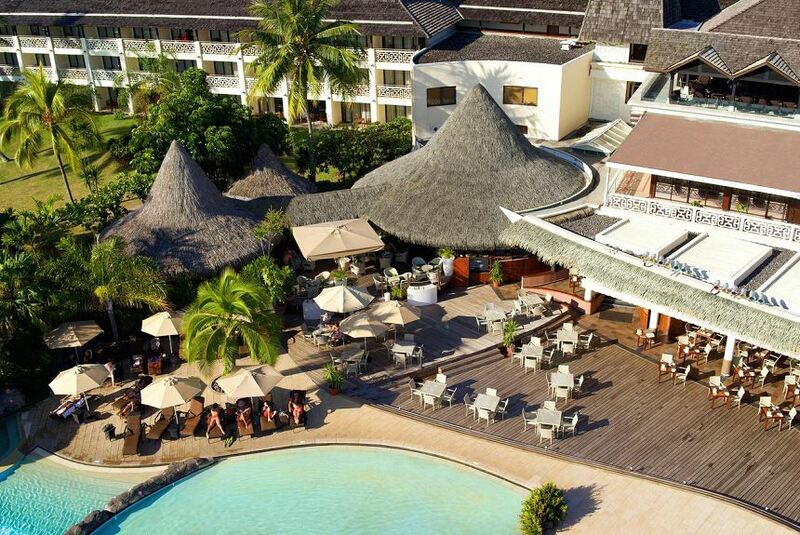 InterContinental Resort Tahiti is less than 5 minutes’ drive from Faaa International Airport. The museums, shops, galleries, market and nightclubs of Papeete city centre are a 10-minute drive away. All rooms have a private balcony with lagoon or garden views. Each includes cable TV and a private bathroom with bathtub. The overwater bungalows have a private sun terrace with direct lagoon access. Guests have access to a diving centre, open-air aquarium and tennis courts. Deep Nature Spa by Algotherm features a relaxation area with steam bath, and a fitness room with lagoon views. The hotel's overwater restaurant, Le Lotus is located near the sand-bottomed swimming pool and offers beautiful views of Moorea. The menu boasts gourmet meals and a selection of fine French wines.